Beyond providing data for all 32 NFL teams, PFF also supports network broadcasters with game-preview packets that are used to enhance the in-game experience for fans and viewers. 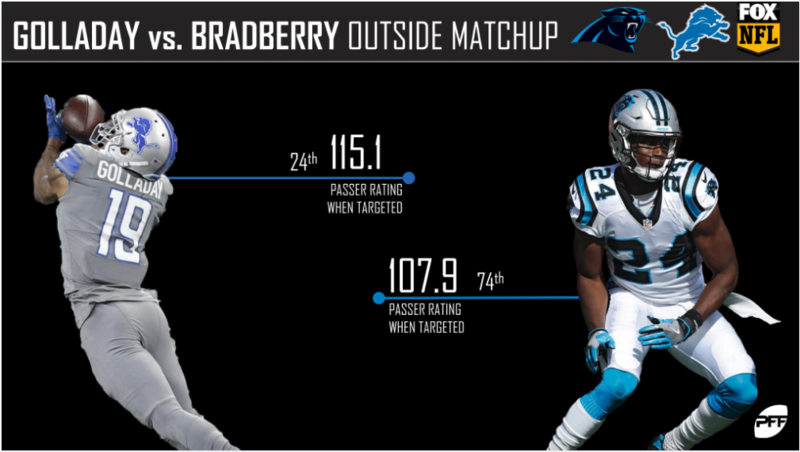 This Panthers-Lions preview features the same information our broadcast partners use for team research and in-game production. 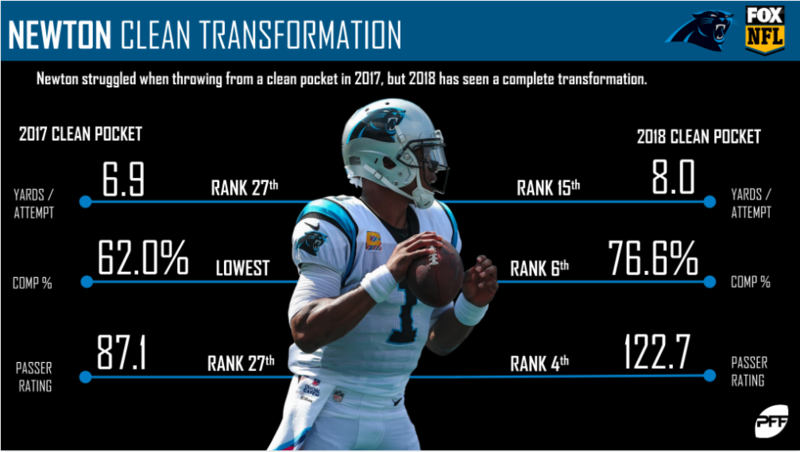 Cam Newton struggled from a clean pocket last season, but it’s been a completely different story this year. 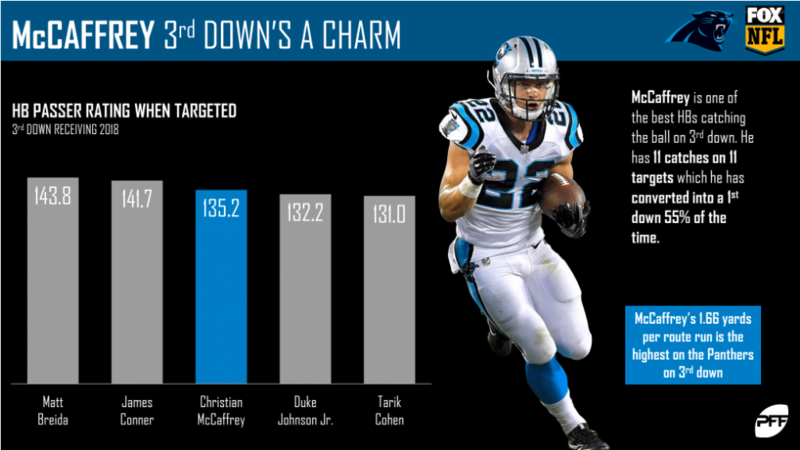 Christian McCaffrey has been a mightily productive weapon on third downs this season. 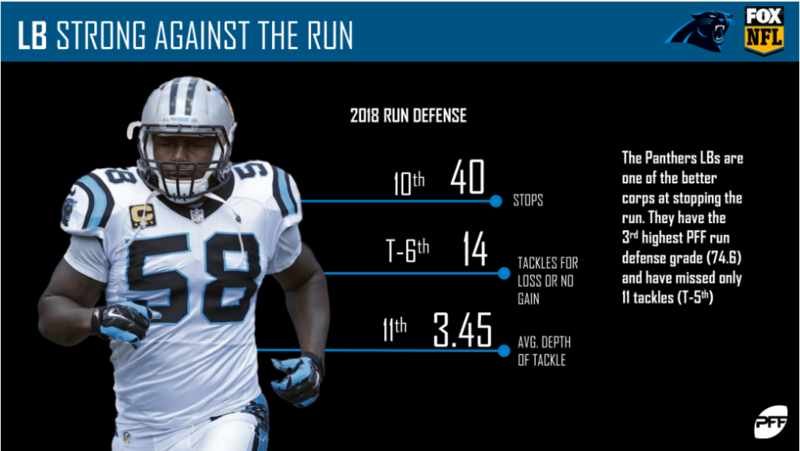 The Panthers’ linebackers have been stout against the run this season. They’ll be looking to continue this against the Lions. 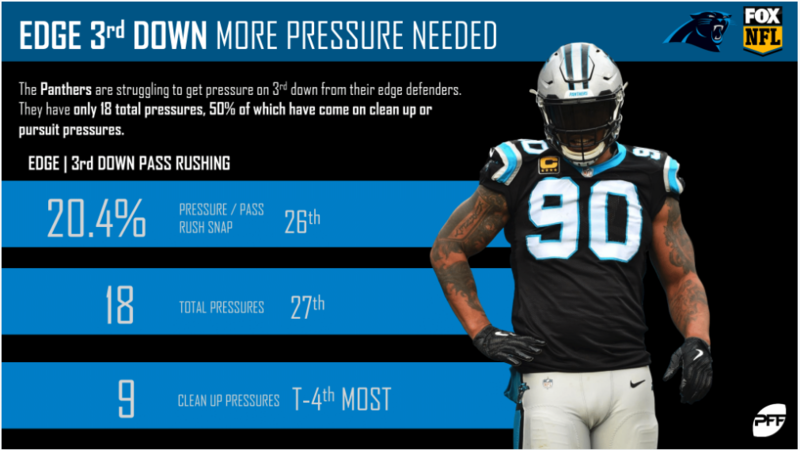 The Panthers’ edge defenders have struggled to produce pressure on third down this season. They’ll look to get that on track against the Lions. 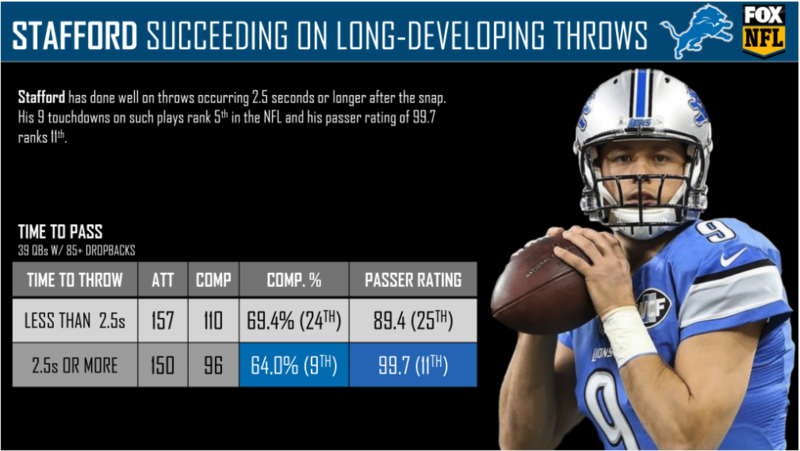 Matthew Stafford has done well on long-developing throws this season. The Panthers will look to cut his time short on Sunday. Kenny Golladay has performed very well on out routes and crossing routes this year. 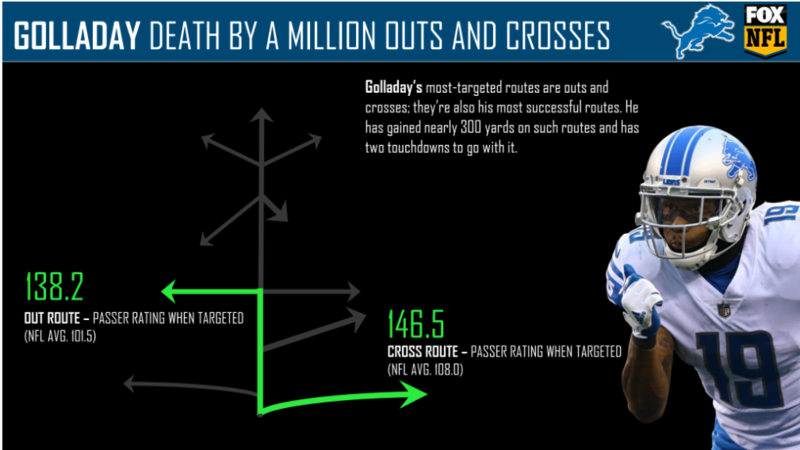 It’s no surprise to see that those two routes are his go-to. New team? No problem. 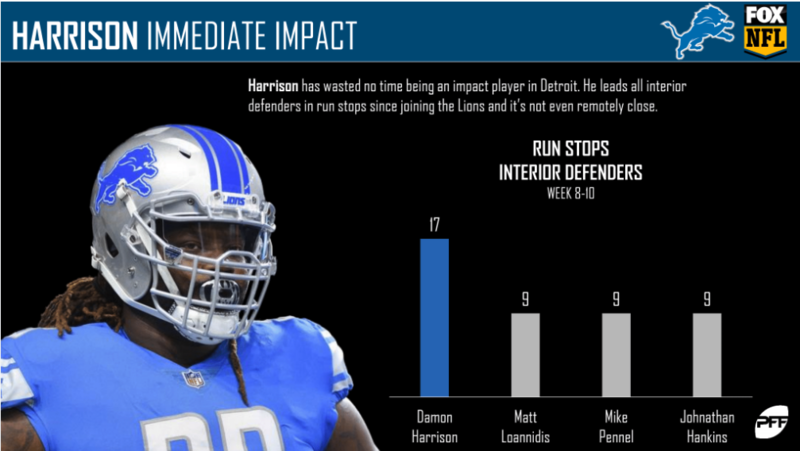 Damon Harrison is up to his usual run-stuffing tricks in Detroit. 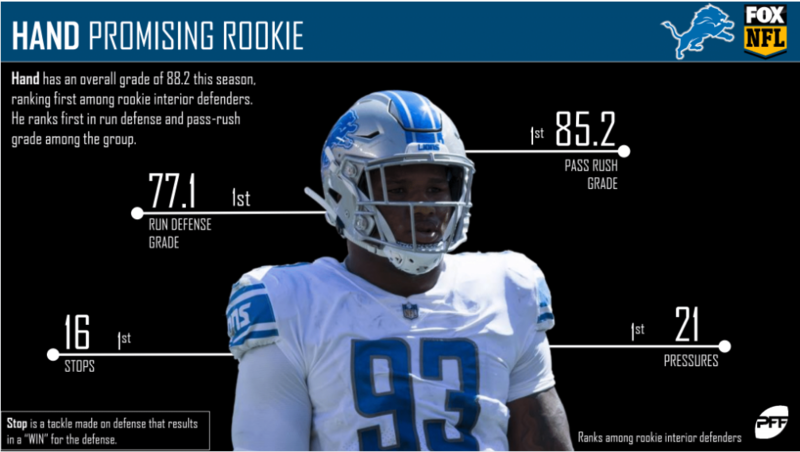 Da’Shawn Hand‘s 88.2 overall grade is currently the best mark among rookie interior defensive linemen. He also ranks first among his classmates in quarterback pressures (21) and defensive stops (16).